Google caught a lot of flak for the Pixel 2 XL's POLED display issues, regardless of whether the problems were real or perceived. It's too late to contract another screen manufacturer at this point, but Google is doing the next-best thing: Fixing as many user complaints as possible with software updates. A few users on Reddit have already received the first wave of display-related software tweaks in the November security update for Pixel devices. 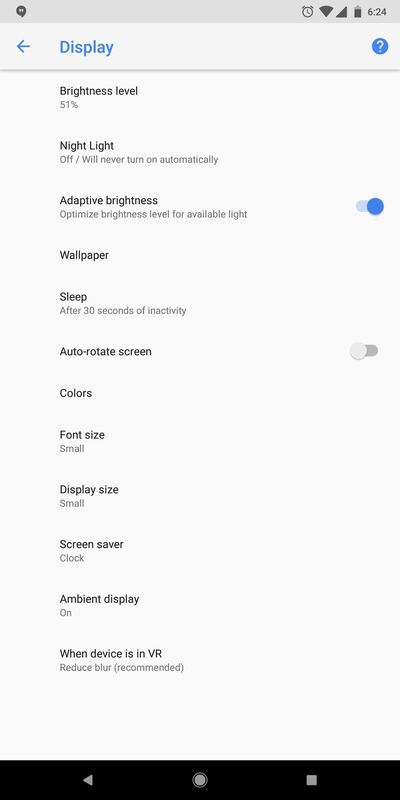 First is a new setting which addresses complaints that the Pixel 2 XL's colors were too bland. A new "Colors" sub-menu in the Display settings allows you to choose from "Boosted," "Natural," or "Saturated." "Boosted" acts as a replacement to the "Vivid colors" setting on the Pixel's original firmware, which had many folks complaining that it wasn't vivid enough. 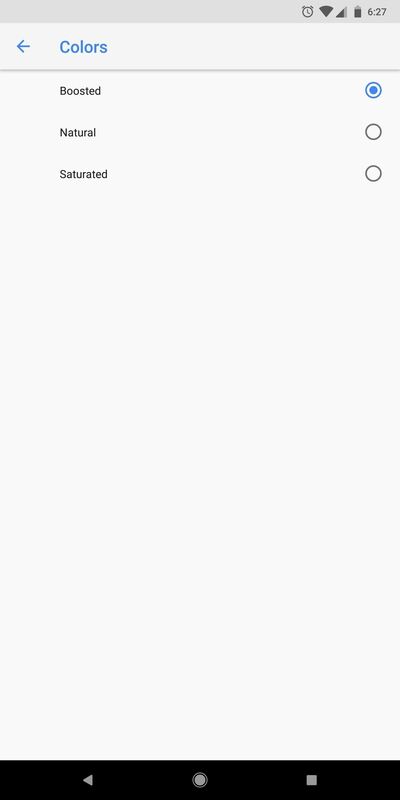 "Natural" is like turning the old "Vivid colors" toggle off, so it's a basic sRGB profile. "Saturated" is the one truly new setting, and it makes the Pixel 2 XL's colors a lot more punchy. To address concerns about screen burn-in on the Pixel 2 XL, Google has activated a feature that was originally planned to roll out with the Android 8.1 update in December. The on-screen navigation keys automatically "dim" a few seconds after you switch to any app, which should decrease the effects of differential aging. Not present yet is the new lightened navigation bar in the Settings menu, which should also help with differential aging (burn-in). 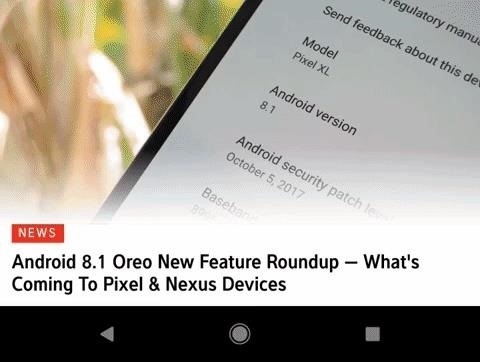 We expect this and similar nav bar tweaks to roll out with the 8.1 update next month. Also fixed is the KRACK vulnerability discovered with Wi-Fi networks using WPA2 Protocol security. This vulnerability allows intruders to interrupt and access an otherwise encrypted connection between your device and your network. Google has addressed this issue, so updated Android devices will be secure. For the time being, the only way to try these new features is to wait. Check for the update in Settings –> System –> System Updates, but understand that it may take a few days to roll out depending on the carrier you're using. If we find a link for the OTA update ZIP, we'll add it to this post with instructions on how to sideload the update with ADB to get it sooner.